Dwarka Kalibari, the pioneering socio-religious and cultural permanent organization in Dwarka, celebrates Durga puja,(‘Worship of Durga’), also referred to as Durgotsava (‘Festival of Durga’) or Sharodotsav, the annual festival every year since its inception year 2003 in its make shift Kalibari. After allotment of land by DDA, from year 2010, it has thrown open the celebration to all Dwarkites and its adjoining areas, by holding this festival at its proposed temple site at Sector-12 where the Kalibari Mandir is under construction. 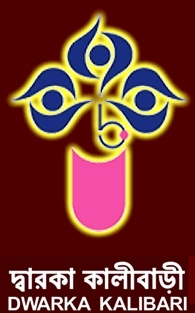 This year too the celebration of Durga puja from 19th October to 24th October, 2012 and Kojagori Lokkhi Puja on 29th October, 2012 will be held at the same venue at Sector-12. The Durga puja mood in Dwarka Kalibari starts off from the day of holding its Kathamo Puja, ritualistically is done on the Rathyatra day. The significance of this puja is that the permanent wooden (bell tree) base & support structure of Durga Pratima is worshiped. From that day idol making process starts by the Artisans putting clay on structure. An important event will be ‘Chakkhu Daan’, literally donation of the eyes. Starting with Devi Durga, the eyes of the idols will be painted on Mahalaya, the last day of the previous fortnight Pitri Paksha, (‘Fortnight of the Forefathers’). Before painting on the eyes, the artisans will have fast for a day and eat only vegetarian food. The idol-makers have a common surname, Pal. The theme of the Durgotsava is to minimize the expenditure towards mainly Pandal and Cultural programmee and save fund for completion of Kalibari Mandir construction. The Pandal will not be elaborated structure with works of art. It will be a simple structure with moderately decorated. 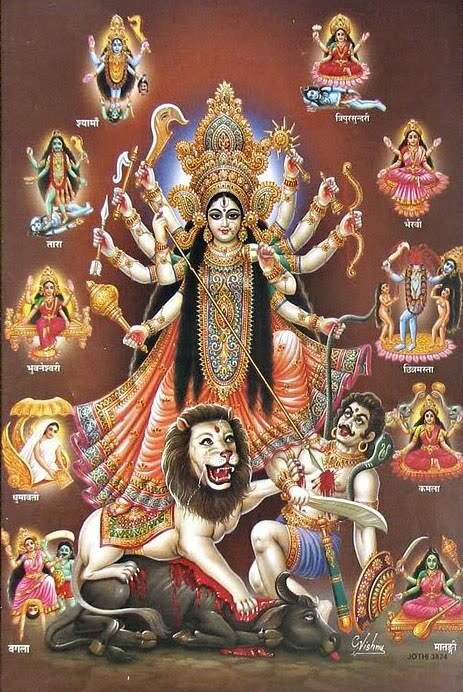 Inside these complex edifices, there will be a stage on which Durga reigns, standing on her lion mount, wielding ten weapons in her ten hands. This is the religious center of the festivity. The puja will be performed following tradition practice, shastric rituals, Tritiya, total purity and spirituality in all days observed as Shashthi, Maha Saptami, Maha Ashtami, Maha Navami and Vijayadashami, in the fortnight corresponding to the festival called Devi Paksha (‘Fortnight of the Goddess’) and the devotees gather to offer flower worship or pushpanjali in the mornings of Shashthi to Maha Navami. Ritual drummers – Dhakis, carrying large leather-strung Dhak –– show off their skills during ritual dance worships called Aarati. On the tenth day, Durga the mother returns to her husband, Shiva, ritualised through her immersion into the waters of Yamuna–– Bishorjon also known as Bhaashan and Niranjan. In the morning there will be Sindur Khela after Darpan Darshan (ladies viewing the image of Maa Durga). Thereafter the idol will be taken for immersion in a procession amid loud chants of ‘Bolo Durga Mai-ki Jai’ (glory be to Mother Durga) and ‘Aashchhe Bochhor Abar Hobe’ (‘it will happen again next year’) and drumbeats to the river. It is cast in the waters symbolic of the departure of the deity to her home with her husband in the Himalayas. After this, in the evening, traditionally called Vijaya Dashami, families will be gathered in the Pandal for Millan (Kola-kuli). Shanti-jal i.e., Yamuna water being brought from Yamuna river in a pot after immersion will sprinkle over devotees chanting the mantras “Om shanti, Om shanti’ by Priest. Thereafter, sweets will be distributed. Besides above, various competitions will be organizes by Dwarka Kalibari such as Songs, On the spot drawing, Recitation, Ladies Game, Fancy dress, Shankho Dhoni and Games for Senior Citizens spread out between 19th Oct’ to 23rd Oct’12 starting with holding Ananda Mela on Panchami evening (19th Oct’12), an event mainly organized by ladies to sell their home cooked delicious food under categories of vegetarian, non-vegetarian and sweet dishes. Prizes will also be distributed to the best three participants in three categories. Finally, the Devi Paksha preceded by Mahalaya will be ended on Kojagori Lokkhi Puja, (‘Worship of Goddess Lakshmi on Kojagori Full Moon Night’) on 29th Oct’12. Dwarka Kalibari will celebrate Kojagori Lokkhi Puja on this day at the same venue of Durga puja at Sector-12.